As anyone who has ever worked in a fast food -- or any -- restaurant can tell you, the smell of unhealthy food can put you off the stuff. (NEW YORK) — As anyone who has ever worked in a fast food — or any — restaurant can tell you, the smell of unhealthy food can put you off the stuff. 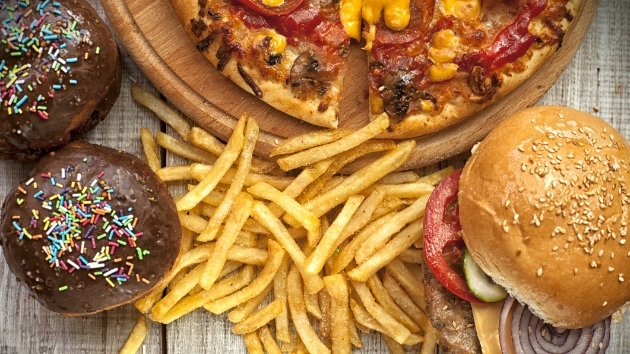 Scientists have now confirmed that a great way to fight your craving for fries, pizza and other junk food is to be exposed to the smell of the stuff for a few minutes. The study, conducted by scientists at the University of Florida and published in the Journal of Marketing Research, used a series of experiments where people of various ages were exposed to the smell of junk food — specifically, pizza and cookies — or alternatively, healthy foods, like strawberries and apples. Some of the test subjects were students, and the scents were piped in through a cafeteria. Other subjects were in a supermarket. In every case, the test subjects that got a whiff of the junk food made better choices when it came to buying food. Those who smelled the healthier stuff craved the guilty pleasures. The findings were backed up by the same experiments conducted in a lab. “Ambient scent can be a powerful tool to resist cravings for indulgent foods,” says lead author Dipayan Biswas, in a release. “In fact, subtle sensory stimuli like scents can be more effective in influencing children’s and adults’ food choices than restrictive policies” — like diets or mandated healthy school lunches. In other words, if you’re hungry at 3 a.m., instead of ordering pizza, try standing outside a Domino’s and just inhaling for five minutes.